It’s Morphin Time! Award-winning publisher BOOM! Studios and Saban Brands are excited to announce a partnership to produce new Mighty Morphin Power Rangers comics, starting with a set of six exclusive, one-page comics that will debut at San Diego Comic-Con in July. The comics will be based on Saban’s iconic Mighty Morphin Power Rangers television series. Premiering in 1993, Mighty Morphin Power Rangers was a live-action children’s television series about a group of ordinary teenagers who “morphed” into superheroes to save the world from evil. Each Ranger was identifiable by their individual Ranger colors: Jason the Red Ranger, Zack the Black Ranger, Trini the Yellow Ranger, Billy the Blue Ranger, and Kimberly the Pink Ranger. A sixth member, Tommy the Green Ranger, joined later in the series. Since Mighty Morphin Power Rangers debuted, Saban’s Power Rangers series has continued airing, now in its 22nd season, Power Rangers Dino Charge. BOOM!’s comic series will focus exclusively on Mighty Morphin Power Rangers and appeal especially to those super fans who grew up watching the show in the ‘90s. The initiative kicks off July 8th at San Diego Comic-Con, where BOOM! Studios will be exhibiting at booth #2229. The publisher will have an assortment of six double-sided, one-page comics in blind bag packaging available for sale. Each comic will focus on one Power Ranger and feature a pin-up image by Spectrum-nominated artist Goñi Montes (RoboCop) on one side, and a one-page comic written by Mairghread Scott (Transformers: Witchblade) and illustrated by Daniel Bayliss (Translucid) on the other side. The six comics are designed to be read as individual parts or can be stitched together to form one full story. 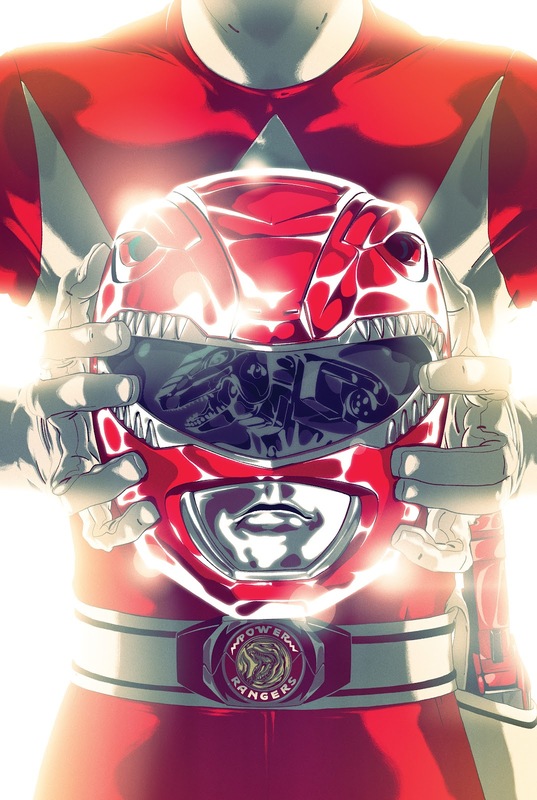 Details of the forthcoming Mighty Morphin Power Rangers comic series will be released at a later date.